Understand Tolls and Avoid Penalties! What Is A Travel WiFi Device? Whether you’re just in the midst of planning a trip to Ireland, have already booked your tickets, or are just days away from your departure to visit Ireland, there are some key things to note before your visit that will help you be prepared for the roads and weather and also inspire you to enjoy Irish dining and step out of the cities for the countryside of Ireland. If you weren’t already aware, Ireland is made up of two different countries, Northern Ireland (which is part of the United Kingdom) and the Republic of Ireland (most commonly referred to as Ireland – simple right?). While you may not notice many differences upon arrival or departure from each of these parts of Ireland, there are a few things to know if you are planning a trip to Ireland and visiting both countries. Currency: Northern Ireland uses the Pound Sterling (£) and the Republic of Ireland uses the Euro (€). Crossing the Border: When you cross the border into Northern Ireland or vice versa into the Republic of Ireland, there are no formal border crossings or extra stamps on your passport. Simply put, you may very well enter another country and have no idea until you notice a difference in the speed limit. From our experience, renting a car in Ireland was virtually pain-free. We decided to rent through Enterprise on our U.S. based Costco membership because it gave us an excellent rate and an additional driver free of charge. Otherwise, you can book through Kayak to compare rental car prices too! Most U.S. based car rental companies are available in Ireland but there are also European/Irish based car rental companies you can choose from such as Irish Car Rentals, Dan Dooley, Europcar, and more. When booking your rental make sure to choose between automatic and manual transmissions otherwise you may be in for a surprise upon arrival! The manual transmission will most likely be the less expensive of the two options, but if you haven’t driven a manual transmission or don’t drive in manual often, we highly advise you to stick with the automatic transmission, even if it does cost more, for the sake of driving safely on the windy Irish roads. 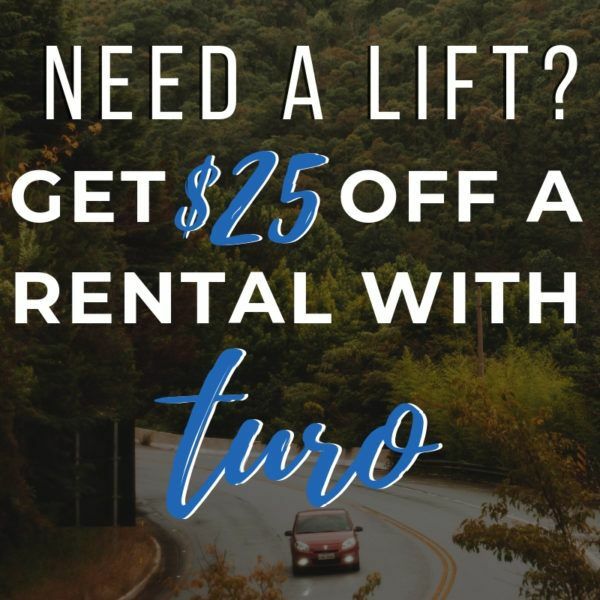 The best location to pick-up and drop-off your rental is at the airport you will be flying in and out of. After exiting your plane, going through customs, and retrieving your luggage, you can check-in with your rental car company at the airport counter. From there, you will most likely be taken on a shuttle bus to the main rental branch by the airport to retrieve your car – this was our experience flying in and out of Dublin. If the locations of your flights vary, you can choose alternate pick-up and drop-off locations but may incur additional charges. Prior to planning a trip to Ireland, we were told over and over again that we would be forced to take Collision Damage Waiver (CDW) for our car rental in Ireland. However, our Chase Sapphire Reserve credit card offers up to $75,000 worth of CDW insurance for free in many countries, including Ireland and Northern Ireland. One week prior to our departure, we called Chase and asked them for a written letter to prove our coverage and within minutes one arrived in our e-mail inbox. Upon arriving at the Enterprise rental counter we assumed we would have to argue our CDW coverage but it wasn’t any trouble at all. We simply denied the CDW insurance offered by Enterprise and asked if they wanted to see our letter providing proof of CDW insurance from Chase but Enterprise was not concerned. However, if your credit card does not offer CDW in other countries, we recommend spending the few extra dollars per day to cover yourself while on the road. If something were to happen, you may get hit with outrageous fees and charges without insurance coverage. It is also important to note that even if your credit card covers CDW on car rentals this coverage is only for the vehicle you are driving. So, if you happen to hit another car you will be paying for the damage to their vehicle out-of-pocket. To avoid this you can also opt to get coverage for your personal rental and for others out on the road. Before leaving with your rental it is very important to take photos and even video of your car from all angles, make sure to tell the company you’re renting from about any scratches, dings, etc that you notice prior to leaving. This will help cover you if there are any questions later in regards to the condition of your rental. We also recommend inquiring about some basic maintenance such as windshield washer fluid and checking the tire pressure as both of these lights went off in our car within minutes of driving down the road. This will save you time later should you have to stop and fix these small items. As I said before, we decided to rent our vehicle through Enterprise on our Costco Membership Account. We opted for an Automatic Transmission and Compact Car – which was a diesel SKODA Superb. Our price for this vehicle was €63.81 + Taxes & Fees: €22.37 = Total Rental Price €86.18 ($106.14) for seven full days. 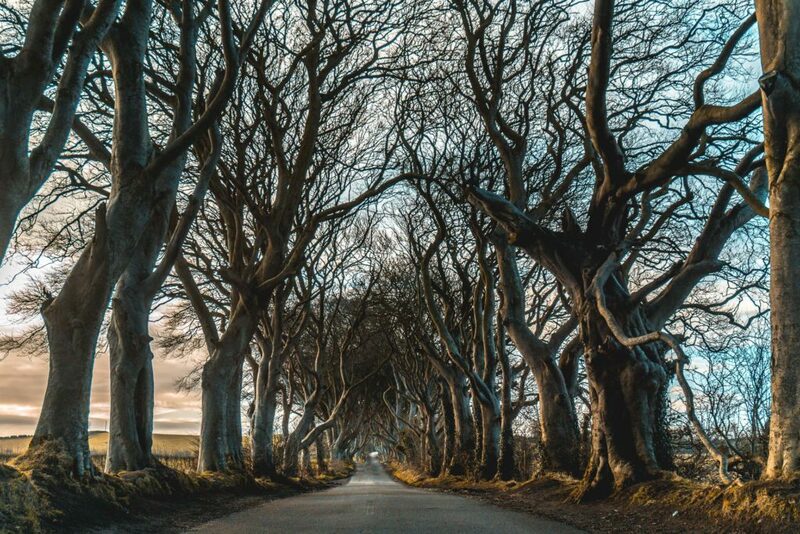 When planning a trip to Ireland the driving is what we had the most questions about and what was the most intimidating part of traveling to Ireland. So, let’s start off by saying there are some cold, hard facts that are about to be dealt out with driving in Ireland. Prior to visiting, we had prepared for the absolute worst. We imagined one lane roads on cliffs with nothing between you and treacherous mountaintop and to be honest, that isn’t far from the truth. If you are traveling from the United States or another country that is used to driving on the right side of the road it’s important to remember to drive on the left side of the road while driving in Ireland. The steering column is also located on the opposite side of the car (the right side) which can be a bit of an adjustment at first. There are numerous single and double roundabouts (traffic circles) in Ireland which flow in a counterclockwise direction, that is, when you enter the circle continue moving to your left. While driving in Ireland we found Google Maps to be the most effective when following GPS directions but you still need to be attentive. We were fortunate that we always had a navigator and a driver. As the navigator, we had to watch the directions from time to time as well because there were many occasions that we came to a fork in the road and our GPS wouldn’t give us a prompt on which way to go. But if you looked at the map, you would see that it would veer to the right or left. Another helpful tip is to download the offline version of Google Maps for Ireland when planning a trip to Ireland and prior to your departure. This is especially helpful if you have limited access to wifi or cell service while driving. If you are traveling from the United States you will notice that many of the street signs are similar but there are some differences and important ones to be aware of. The first sign we’re going to discuss is pretty obvious to figure out, the directional blue circular signs with white arrows. These signs are great for travelers used to driving on the right side of the road. These directional signs help keep you on the correct side of the road and moving in the right direction. Speed limits are indicated by circular signs with a red border and a number indicating a km/h limit. One of the most frustrating things we encountered while driving was the lack of signage on smaller back roads. At times it was difficult to tell if the road was one way or two because the lines on the road were the same on both sides. 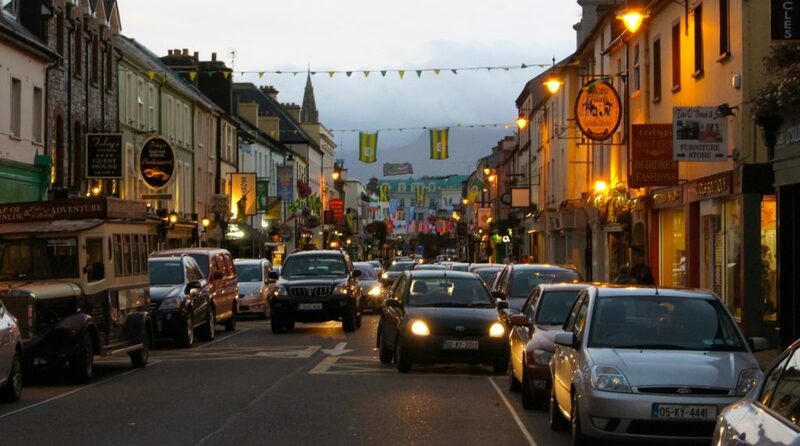 In the United States, we often have white and yellow lines on the road to indicate the direction of traffic, and that was not always the case in Ireland. Most cars in Ireland use diesel but there are a few that may require traditional gasoline. Usually, your rental will have a sticker on the side with the gas pump that labels what kind of fuel your car requires. When you start to run low on fuel there are a number of service stations you can look for including Applegreen, Topaz, Texaco, and Maxol. When fueling up at the service station they are typically self-service. You pull up to the pump, verify if you need gasoline or diesel, then grab the corresponding nozzle and begin to fuel up. No need to pre-pay or insert your credit card (typically) before you pump your fuel – which is also different from the states. Once you are finished, replace the nozzle and check your pump for what number you are, walk into the service station and tell the cashier your pump number to pay for your fuel. Do keep in mind that prices for fuel are almost always per liter (1/4 gallon) and not per gallon like most fuel stations in the United States. During our trip, fuel prices were around 1.23 €/L – 1.28 €/L for diesel. Being a diesel, our vehicle was able to get an average of 56 MPG so we rarely had to stop and get fuel which saved us time and money. Total Price of Fuel: €104.35 ($128.33) on 7 days of driving all around the country too! When visiting tolls in Ireland you will need to have cash or coin. There are manned toll booths, automated toll booths that require exact change, and ones that also provide change. Be sure to pay attention the signs depicted prior to entering the toll booth. There are also tolls that you may not even know are charging you because they simply take a photo of your car and license plate. You will find a toll such as this on the M50 to and from Dublin. If you are looking to save a few extra dollars you can set up your GPS to avoid toll roads but we took quite a few around Dublin to simply save time. While driving around the countryside you will have to deal with windy, one-lane roads but in the city, the traffic can be horrendous. When we were driving in Cork, it took quite some time to find parking and get from place to place because of all the vehicles and pedestrians. Numerous (and often poorly marked) one lane or one way streets can be difficult to navigate, especially during times of high congestion. Several times in the larger cities we had to drive up on a curb to pass other vehicles on narrow roadways or bridges. A few times we even had to back up a block or two, to find enough space to pull over to let oncoming traffic past. We had heard traffic in Dublin was especially bad, so we decided to utilize the bus instead and found it to be well worth it. Driving in Ireland can definitely be uncomfortable at times and is full of the unexpected. Chances are, you WILL encounter some kind of livestock such as sheep or cattle and they may decide that it is their new place to chill until further notice. Roads may be narrow, or even VERY narrow and there is a good chance you will have to dip off the shoulder at some point to drive past someone. Rain is obviously common so exercise caution when encountering water over the road, potholes, and mud if you’re in the country. Give yourself time to get adjusted and don’t be afraid to take it easy on roads that may make you uncomfortable. We noticed it was common practice for slow driving cars pull over to let others pass whether it be on the highway or narrow country roads. The good news is driving on divided highways is very easy starting off and is a great way to get used to being on the opposite side of the road. 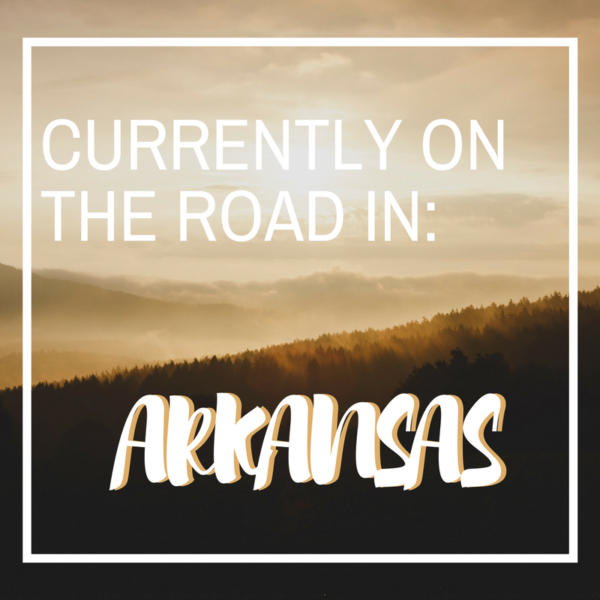 By the end of our week-long trip, we were much more comfortable driving and didn’t think much about it when we hopped in the car to head off to the next location. While it isn’t our preferred mode of travel, some of you might prefer to sit back and have a more slow-paced, leisurely tour of Ireland without the driving yourself. If that sounds like you, you might consider taking a tour bus around the countryside and cities. A tour bus has scheduled excursions and themed trips to choose from to complete your ideal Irish road trip through the coastal cities and small country towns. 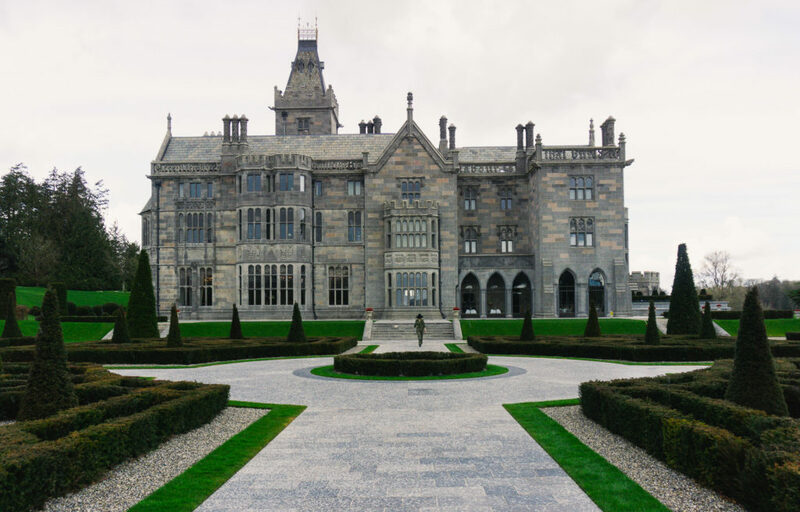 When planning your trip to Ireland there are many different accommodations to choose from including bed and breakfasts, hotels, and even castles! 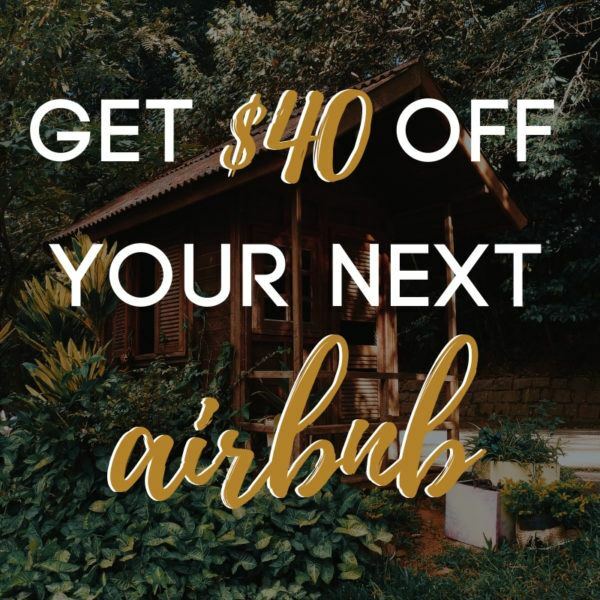 During our trip, we opted to stay in a lot of local Airbnb and found it to be not only cost efficient but also really engaging. We were able to interact with our hosts and get an inside view of what to do in the areas we were staying as well as many other helpful tips. Our hosts provided breakfast every morning and we had complete privacy and private bathrooms in each place we stayed. Similar to hotels in other European countries and the United States, hotels in Ireland also had everything you needed to have a comfortable stay. They provide basic amenities such as shampoo, conditioner, body wash, light refreshments, and ample space in the room. Bed and Breakfast accommodations are usually in a more cozy setting with a full breakfast provided in the morning. If you are looking to spend the night somewhere out of the norm you can even stay in a castle in Ireland! 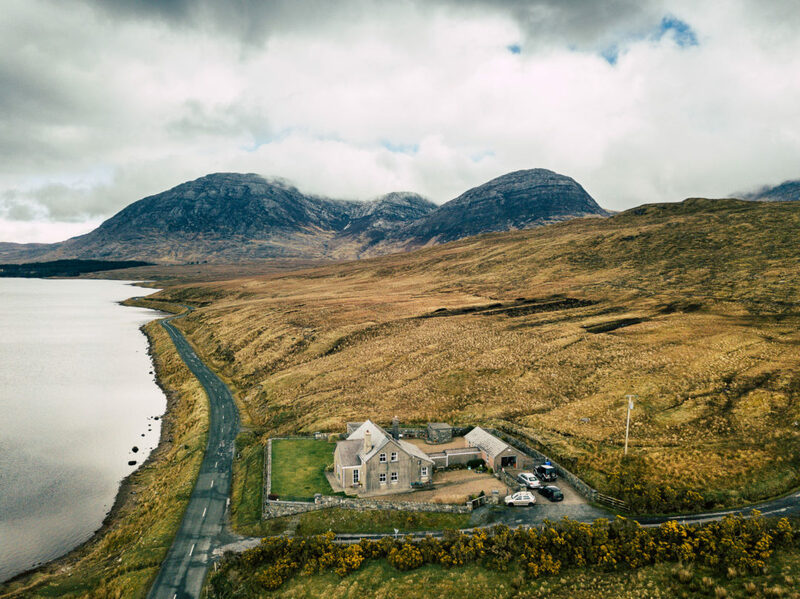 There are many castles that have been refurbished into swanky hotels and those that are simple bed and breakfasts that you can even rent out all to yourself. The weather in Ireland can be very unpredictable – so much so that it is discussed frequently by visitors and residents alike. Many Irish people have said that they often have “all four seasons in one day” and we found that to be true! The climate in Ireland is influenced mostly by the Atlantic Ocean, thus forming the mild temperatures that you can often find year round in Ireland. Thus, when planning a trip to Ireland it is crucial to dress in layers and be prepared for temperature fluctuation. The average temperature during the winter ranges between 4-6°C (39-43°F). While snow is typically rare in Ireland, we were told on our visit that the winter of 2017-2018 did receive a large amount of snow so it is possible. However, even if you don’t see one snowflake the wind and rain make the temperatures feel even colder so it would be ideal to bring a warm coat, hat, and gloves to prepare for the temperatures. In the spring months, the average temperatures range between 8-12°C (46-54°F). We visited in late March and found that in the morning and late evening the temperatures were seemingly cold and during the day you still needed a medium weight coat and waterproof rain jacket to keep you warm and dry. Summer is obviously the warmest months to visit Ireland with temperatures ranging between 16-20°C (61-68°F). Interestingly enough, in July and August, you will get about 18 hours of daylight turning dark after 11 pm in the evening at times. If visiting during these months you will still need to bring a lightweight rain jacket to be prepared for rain. Autumn in Ireland is extremely beautiful with temperatures being quite mild between 14-18°C (57-64°F). However, autumn is known to have heavier rainfall and at times, cold snaps so be prepared to have a medium weight waterproof jacket. Another huge part of travel is of course, what to wear! 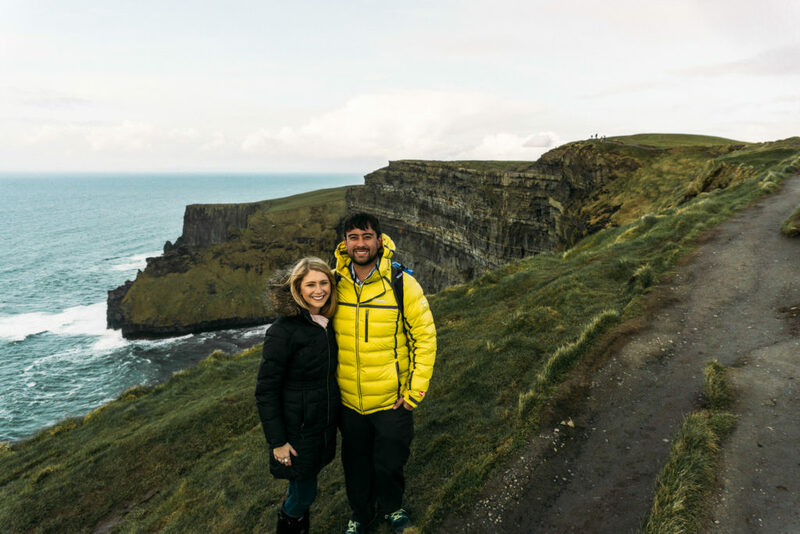 When planning a trip to Ireland your clothing choices can vary depending on the time of year you visit the weather in Ireland but isn’t as drastically different by season. In all seasons it is important to have proper rain gear including rain jackets, an umbrella, and proper footwear. One of the best pieces of advice we received was to dress in many layers as it can often be warm one moment and sleeting the next. Here is what we suggest packing when planning a trip to Ireland! 2 Pairs of Leggings – Great for the flight, also great for thermal layers! Basic Toiletries: Each of us brought a small zipper bag with our toiletries inside. It is important that ALL liquids are in a ziplock bag prior to flying to and from Ireland. You are allowed one ziplock bag per person. Disinfecting Wipes: We brought these for the flight to disinfect our tray tables, arm rests, etc for the flight. But they also work great for cleaning up your rental car. Body Wipes: These are basically a disposable shower towelette. They are so refreshing to use after your flight or long car ride! Facial Tissues: Even if you don’t have a cold you may notice your nose start to run from the wind or the cold. Coin Pouch: Since you will be using a lot of coin currency having a coin purse is helpful for accessing change quickly. Power Adaptor: If traveling from another country your electric plugs may not be compatible with Irish electric plugs. Purchasing a power adaptor prior to leaving will allow you to charge your electronics. Portable Battery Packs: Keep your WiFi device, cell phone, and other devices charges while on the go. Car Charger: If you don’t have enough adaptors to charge all of your devices then you might consider charging some of your electronics while on the road. We would often charge our phones will on the go and they would still be fully charged the next morning before we left! Umbrella: As we’ve said, it rains A LOT in Ireland so bringing a small collapsible umbrella is a must! 1-2 Small Tote Bags: If you plan on visiting a grocery store you will need to bring your own grocery bags we brought two small totes that folded down to the size of a coaster. Disclaimer: We received a complimentary rental from Travel WiFi in exchange for this review. As always, opinions are our own. On our trip to Ireland, we rented a device from Travel WiFi who helped us stay connected while traveling around Ireland. Travel WiFi is a company that offers portable wifi devices for rent on a weekly, biweekly, or monthly basis. We recommend using Travel Wifi while visiting Ireland for a few different reasons. You can order your device online and receive it before your trip. The easiest way to receive your device is to order it online through Travel WiFi. You can also arrange to pick it up and drop it off directly at the Travel WiFi office when booking your rental device. Either option is very convenient! Travel Wifi allows you to connect up to FIVE devices at a time. 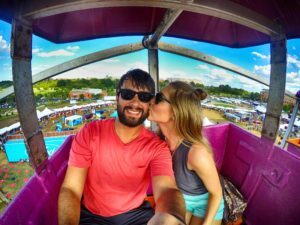 This is perfect for couple travelers, family travelers, or solo travelers that need to connect more than one device. Using a Travel Wifi device is extremely easy. Simply turn on your wifi device, connect via your electronic device, put in the password, and viola… surf the web! You’ll have service and good speed in the places you need it most. 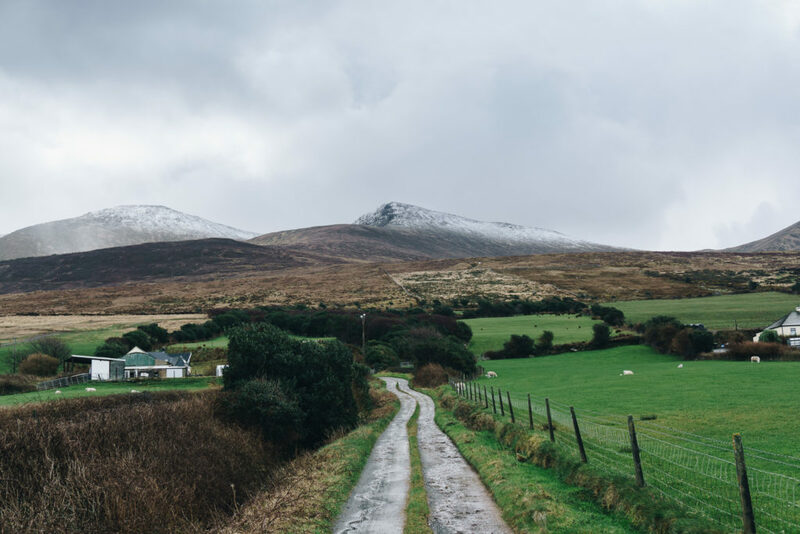 During our experience with Travel WiFi, we had 3G or 4G connections in all areas that we used our device even including the countryside of the Dingle Peninsula! The battery life is terrific for powering so many devices! You won’t have to charge it often, although we would charge it periodically during our drives. 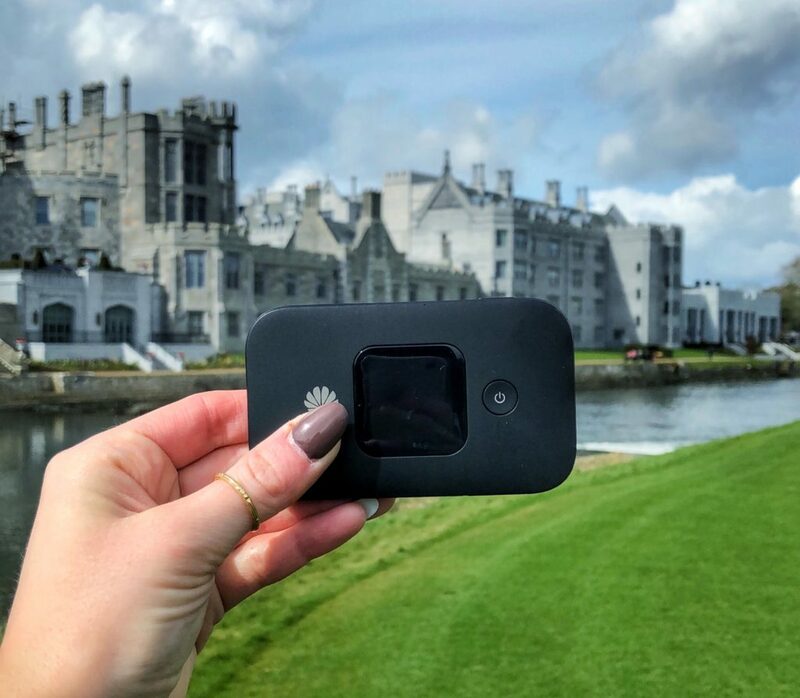 Travel WiFi offers three different plans for those visiting Ireland or Ireland and the U.K. All of the plans include unlimited data, the ability to connect 5 devices at once, and 4G connectivity. Enjoying the different cuisine and dining experiences are one of the best parts of travel! So, with that being said planning a trip to Ireland should include food recommendations. 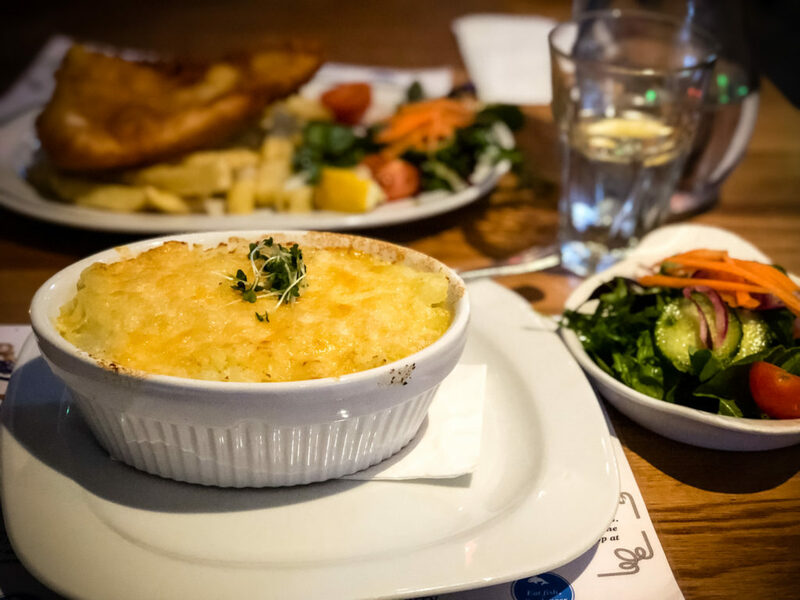 Traditional Irish cuisine contains many different types of bread, artisan cheeses, potatoes, beef and lamb, fresh seafood and hearty broth-based dishes. International culture and cuisine have also been integrated into Ireland resulting in dishes including curry, pizza, and east Asia cuisines. A Full Irish Breakfast – After having a full Irish breakfast you may be able to skip lunch! This breakfast includes a hearty helping of bacon, sausage, black or white puddings, eggs, vegetables, potatoes, a generous portion of Irish soda bread with jams, and hot tea, coffee, and/or fruit juice. Fish and Chips – A staple meal in Ireland that is made up of fried battered white fish and freshly cooked potato chips (commonly known as French Fries). You can find it at nearly any restaurant in Ireland but the best places are the small take away stands! Guinness Stew – Another signature meal in Ireland that is made up of beef, vegetables, spices, and of course, Guinness. It’s a meal that is commonly found in Irish Pubs. Oysters – There are a few places in Ireland that are famous for their oysters, Galway being one of the top! Fisherman’s Pie – Fisherman’s Pie is a meal that is based on a flaky pie crust filled with a variety of cooked fish in a light white sauce and topped with cheese. Soda Bread – A dense quick bread that is made with sodium bicarbonate as a leavening agent instead of traditional bread yeast. Potatoes – In Ireland, potatoes are a staple for nearly every meal and they are prepared in many ways! While in Ireland see how many different styles of potatoes you can try including colcannon (mashed potatoes and cabbage) or boxty (an Irish potato pancake). Rhubarb anything and everything – Rhubarb is used abundantly in Irish sweets and beverages. We had it in tea, pies, lemonade, jams, custards, and scones. 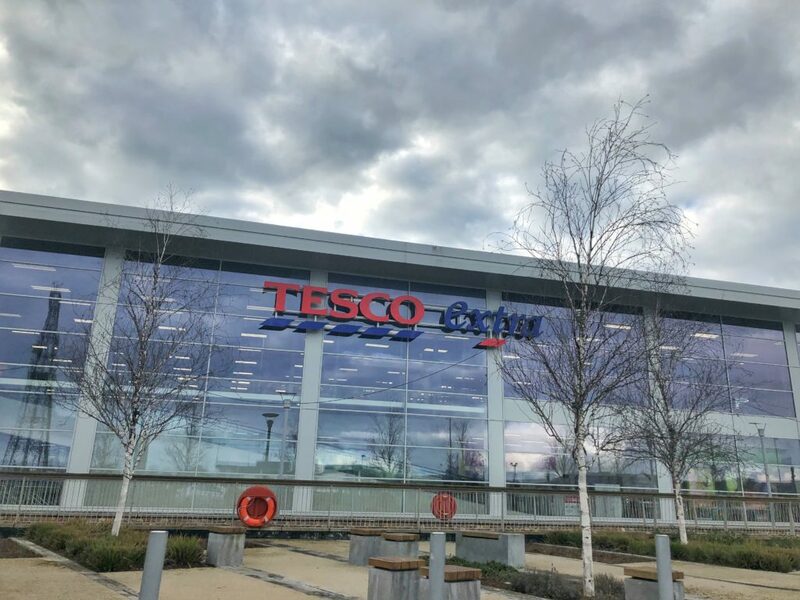 If you are looking to save money and time during your time in Ireland you may want to consider purchasing some food and beverages from a local Irish grocery store. You will need to bring your own grocery bags. We brought along two collapsible totes that folded down into the size of a coaster which turned out to be essential for our trip. You will need €1 to borrow a shopping cart. If you are planning to purchase more than a few items and will need shopping cart you will need a €1 coin to put in the shopping cart and unlock it from the others. After shopping and returning your cart you will get your coin back. Pay in €! If you pay in euros versus your home currency you are more likely to get the best exchange rate. You may need to provide proof of identification if using a credit card. One of the times we purchased items at an Irish grocery store I was asked for proof of identification to make sure my credit card signature matched what was on my driver’s license or passport. The CHOCOLATE – Welcome to the world of Cadbury and Galaxy chocolate bars which will forever change you. These chocolate bars are creamier than chocolate bars you can get in the states and have so many different flavors including honeycomb, salted caramel, raspberry hazelnut dark chocolate, and more. Tayto Crisps – Tayto crisps are a popular snack in Ireland and they’re unlike any potato chips we’ve had in the states. They’re less greasy, thin, and have an excellent crunch. We bought a variety pack that included Salt & Vinegar, Smokey Bacon, and Cheddar & Onion that made for the perfect snack on the go. Scones – Let us just say, we officially think that Ireland has the best scones! They’re slightly buttery, dense, and the perfect balance of flaky and fluffy. We probably ate 100 scones each during our 7 days there. To-Go Food Items – Ireland has a huge variety of to-go lunch items that are perfect if you are on the road. You can get made to order pizzas, deli sandwiches, meat pies, and more for just a few euro. Another thing you should do when planning a trip to Ireland is to notify your bank and credit cards of your upcoming travel plans. Upon arrival, you will want to retrieve Euros (€) or Pound Sterling (£). The best option is to withdraw cash from an ATM versus doing a currency exchange. ATM fees will be nominal in comparison to the currency exchange fees and some banks refund ATM fees up to a certain amount if you present the receipts. Most restaurants and attractions accept credit cards but there are a few locations that may only accept cash or coin. When paying in Ireland it is typically better to pay in Euros (€) or Pound Sterling (£) to get the best conversion rate. We hope this guide has prepared you to begin planning a trip to Ireland. If you have visited Ireland before do you have any advice that you would add? Wow! What a comprehensive post. It will be most useful when I eventually get to go to Ireland! Great work , I must say writer worked very hard to produce this Masterpiece.